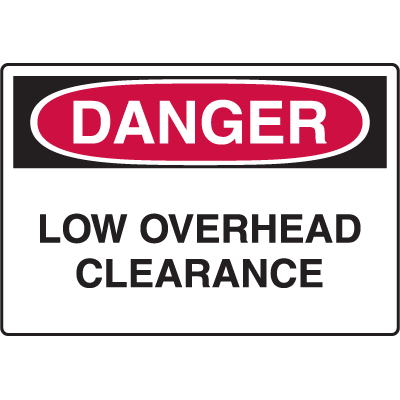 Clearance Signs are the among the most commonly-used overhead barrier warning signs. Usually seen on overpasses, bridges, drive-through areas and parking garages, these signs are especially designed to benefit drivers in large vehicles. 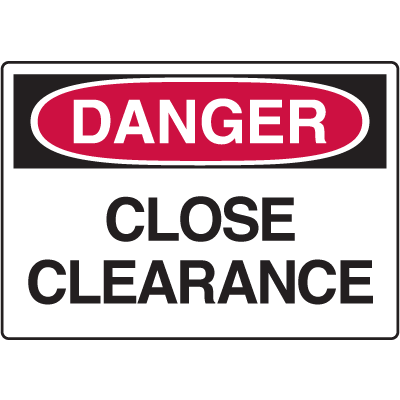 Make sure that such motorists are provided with the proper warning signs with Seton’s Clearance Signs. Inform them when they are approaching a barrier or entering an area that may damage the top of their vehicles. 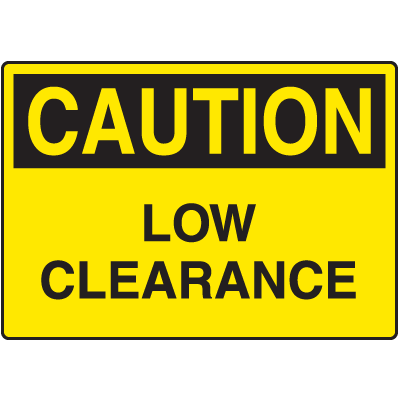 Seton’s low clearance signs let them know if the height of their vehicles exceed the space allowed for in the area. Post these signs high on poles or on the barrier itself to make them easily noticeable by drivers. Make your selection for among Seton’s range of signage options. 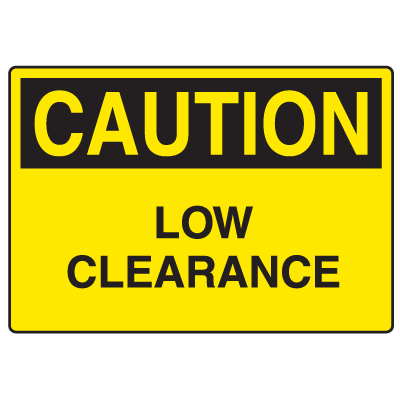 Alert drivers and personnel of potential low clearance hazards. 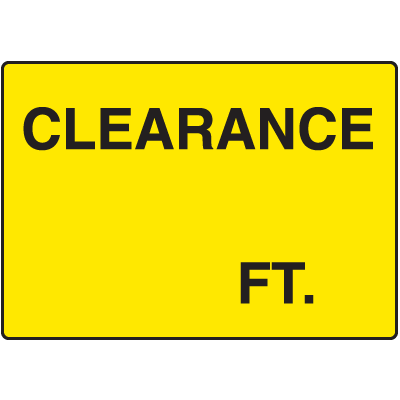 Clearance Signs and other overhead warning signs are typically used on roadways to inform motorists of any potentially dangerous factors in the road. Specifically, these signs notify drivers whenever there any objects or structures that may damage their vehicles. These are found in roads and other places where there barriers that could become potential obstacles for drivers. 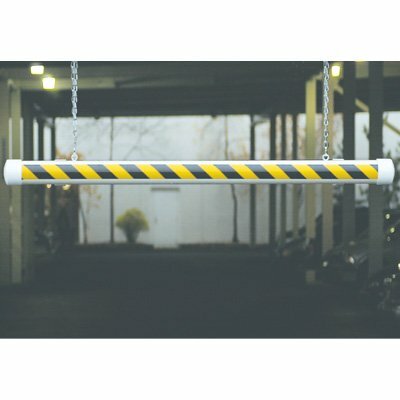 Prevent any accidents that would involve large vehicles. 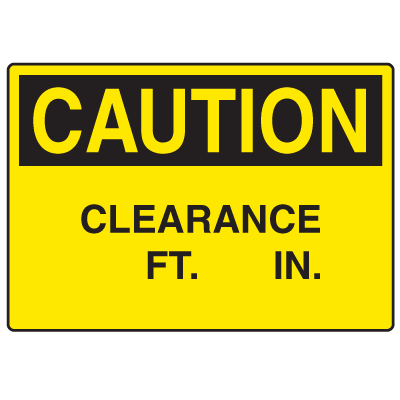 Low clearance caution signs are designed to help commercial vehicles, since they often carry loads that go beyond the normal height limitations. Because of this, drivers are expected to be aware of the height of their vehicle, as well as the height of any bridges and similar road features along their route. To help them with this, overhead bridges and other similar structures should have a sign that clearly indicates the height of the space the vehicle will have to space through. These OSHA warning signs should be facing the vehicles approaching the overhead structure, with one sign allocated for each direction. 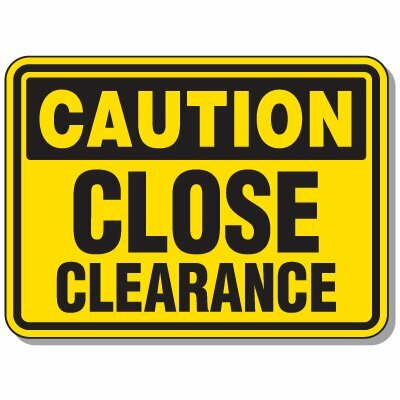 In cases of multiple roads, overhead clearance signs should be located at the center of all travel lanes. Keep drivers informed of any potential barriers and obstacles they might encounter. 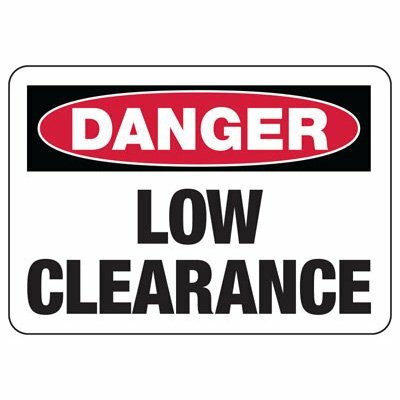 Prevent any accidents with Seton’s Low Clearance Signs. Choose the best signs for your needs from our wide range of options.